In this episode of The Brain Food Show podcast, we wrap up our discussion (for now) on one of the more remarkable individuals in modern history- Theodore Roosevelt. 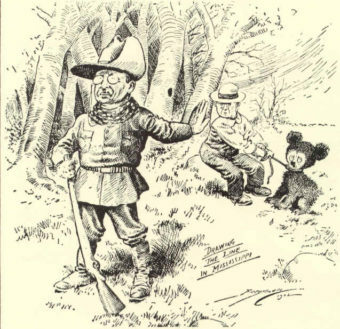 In particular we look at the truth about how and why the Teddy Bear was named after him and a boatload of fascinating Teddy Roosevelt facts conclusively demonstrating he was more awesome than we could ever hope to be. And as a little bonus to the Bonus Facts at the end, we discuss what the famous song The Rose has to do with the undisputed greatest show of all time- Star Trek the Next Generation. And as mentioned in the episode, here’s the Wikipedia page on various forced sterilization campaigns by nation. I love this podcast. I was sent over from their YouTube channel and am not disappointed.